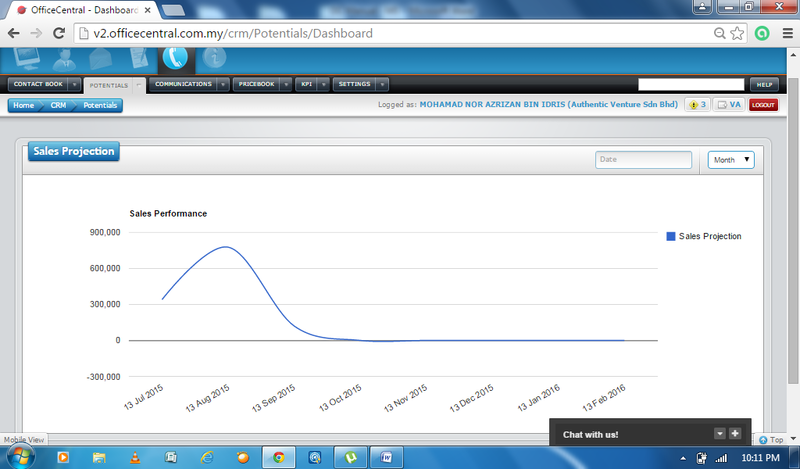 “Potentials” is a list of potentials projects or sales for your company. In example: Tender. 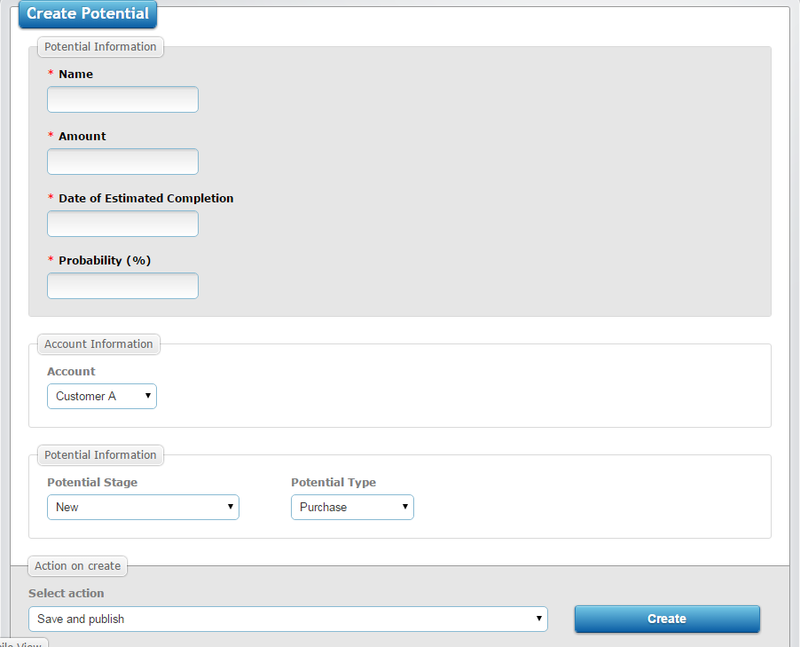 You can click on the "Potentials" and click "Add New" to create a list of potential sales as in (b) or the new project "Potentials". Fill in all related information in the spaces provided. When completed, click on the “Save” button. 1. Please refer the following picture. Name : Please enter the potential’s name, either list of projects, tenders or sales. Amount : Please enter the amount raised. Date of Estimated Completion : Please enter the project’s expected completion date. Probability (%) : Enter the probability of company in acquiring the project (in percentage). Account : Please select relevant account information. Potential Stage : Please select “potential” information. Potential Type : Please choose relevant “potential” type.